The story of extraordinary Wallace Sisters will be told by Anne Twomey of the Shandon Area History Group on Saturday 30th July at 2.30pm at the Maldron Hotel. Now a lifeless vehicular short cut, St. Augustine Street in Cork City is barely noticed by many people these days.An unprepossessing street, it has in recent years becomean alleywaylocated between the Queens Old Castle and McHugh House linking the Grand Parade to South Main Street.It was formerly known as Brunswick Street, acknowledged on the old street nameplate on the western side. One might be surprised to learn that many of the most famous names in the revolutionary Ireland 1915 to 1922 came and went with regularity through this street. For at number 13 Brunswick St (later 4 St. Augustine St.) was located the small shop of Sheila and Nora Wallace. During the War of Independence these firm engaging sisters went about their day to day shop keeping business and provided a perfect cover for what was a vast beehive of revolutionary activity emanating in their shop. No.4 St. Augustine’s Street, Cork shortly before its demolition in the 1970s. Located behind their small traditionally fronted tobacconist and newspaper shop with holy pictures and statues in the window and labour pamphlets on the shelves lay nothing less than the Head Quarters of the Cork No 1 Brigade of the Irish Volunteers and I.R.A.It was effectively the intelligence centre of the IRA where messages were efficiently received and delivered by a huge network of women and men…..in effect an IRA intelligence General Post Office! Even more amazing is that the shop on St Augustine Street was located just 250 metres from the Royal Irish Constabulary barracks at Tuckey St and the Bridewell barracks on the Coal Quay and yet remained undetected by the Crown forces for a long time. James Connolly visited the Wallace sisters on his visit to Cork when he spoke about military tactics at a meeting organised by Tadhg Barry in January 1916. 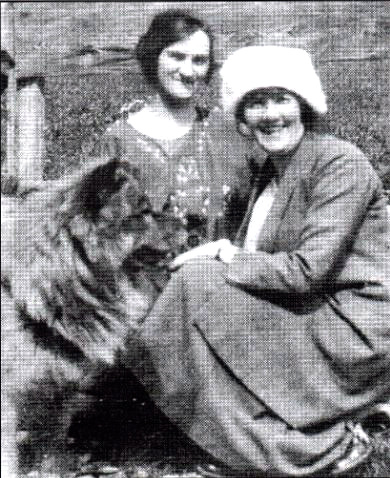 They were friendly with Constance Markievicz of the Irish Citizen Army and both the sisters were members of the I.C.A. Historian John Borgonovo has recounted how they organised a youth and Women’s Citizen Army in Cork which lasted until 1921 and took part in many parades involving the labour movement during the period. Labour organiser and socialist Cathal O’Shannon lodged over their shop for the period while he worked in Cork. One of the last official acts of Lord Mayor Tomás MacCurtain was to visit the Wallace shop late on Friday night 19th March 1920. Florence O’ Donoghue, then Head of Intelligence, recounted how Tomás then left the shop with the recently elected Alderman Tadhg Barry about 11pm that night. Just a few hours later the Lord Mayor of Cork was murdered by R.I.C. men in the family quarters overhead his own shop at 40 Thomas Davis Street in Blackpool. There is a family account how MacCurtain’s successor in office Terence MacSwiney, a regular caller to the Wallaces, went behind the counter and even sold a newspaper and a packet of cigarettes to a customer shortly before his arrest in August 1920, as the Wallace sisters were busy at the particular time. Muriel MacSwiney, his wife, in her December 1951 deposition to the Bureau of Military History mentionshow early on she became aware of “a little newspaper shop kept by the Misses Wallace, who were later connected to The Citizen Army”. Sheila and Nora both worked in the shop and lived overhead at the time and the room behind was regularly used for Volunteer and I.R.A. Brigade meetings. Sheila held the formal rank of Staff Officer as Brigade Communications officer, this was quite unique and she was possibly the only female officer of rank in the I.R.A. She was awarded a pension of £55-16-8 under the Military Pension Act from October 1934 and her rank was confirmed.This rank is alsoinscribed on her gravestone in St. Finbarr’s Cemetery. Later on the shop was raided several times and was finally closed by order of the British Military dated 14th May 1921 and the sisters were expelled from Cork city. It reopened immediately after the Truce, indeed Liam Deasy then Adjutant of the First Southern Division recalled a jovial meeting at the premises on 12th July 1921 with the officers of the First Cork Brigade and Tom Barry. As the sisters took the anti-treaty side in the Civil war, it was raided regularly by the Free State forces. Later on the sisters lived on the Old Youghal Road. 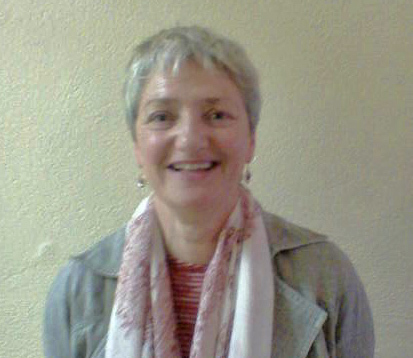 Historian Anne Twomey who will talk about the Wallace Sisters on 30th July. The years of “working in impossible conditions”, carrying despatches in all weathers and the associated stress took a heavy toll on the sisters. This was recorded in their military service pension applications in 1934. Sheila died on 14th April 1944, on the Friday of Easter week.It was acknowledged by the Pensions Board that Nora who had developed tuberculosis in the 20s and spent some time in Switzerland, acquired her illness due to her exposure to all conditions of weather, wet and cold due to her intense activities, while acting as an intelligence agent. Nora traded on at the shopuntil 1960. She passed away on 17th September 1970. The premises was later used as a bookmakers shop and later still a dressmakers. 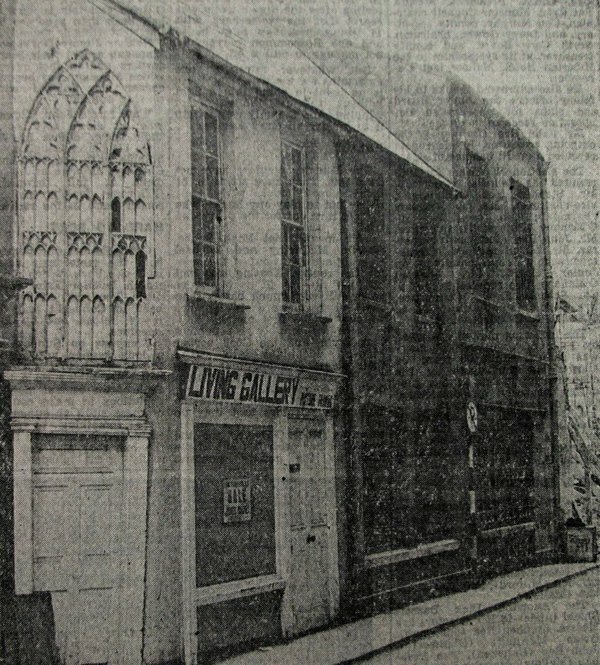 The shop which appeared on a drawing by artist Brian Lawlor dated May 1974 in his book “Cork” appears to have been demolished sometime in the 1970s. Anne Twomey of the Shandon Area History group will give an account of the story of the Wallace Sisters on Saturday afternoon 30th July at 2.30 in the Maldron Hotel. All welcome to attend and participate in the discussion afterwards. The Shandon Area History group organised an unique exhibition entitled “Ordinary Women in Extraordinary Times” featuring remarkable women from the area and their contribution to the War of Independence at the St. Peter’s Church in North Main Street. in June 2016.